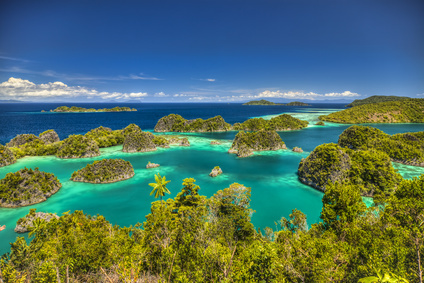 Indonesia is a sprawling archipelago (a chain of islands) with an impressive 13,000 islands covering 741 square miles. It is located between the Indian and Pacific Ocean and to the east of India. The appeal of Indonesia lies in its varied rugged mountain landscapes, popular beaches, health spas and unique native culture. Indonesians are one of the friendliest people in Southeast Asia. Major Hindu cultures flourished in Indonesia during the 7th century and in 1512, the Portuguese first came to Indonesia. The Japanese also occupied it during World War II. Bali is one of Indonesia’s top attractions and has some of the best beaches including the Balangan and the Geger Beach. Bali is also known for its lush paddy fields and beautiful Balinese temples including the Pura Besakih that rises upto 3000 feet. Visit the Borobodur Buddhist Temple in Yogyakarta that was made of 2 million blocks of stone. If you’re looking for some peace and quiet, Gili Islands offer privacy and solitude away from noise and crowds. You can unwind on the little beaches and listen to soft reggae from the cafes that dot the coast. 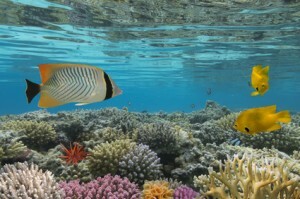 For diving enthusiasts, Bunaken, located to the North of Sulawesi island is one of the best options. There is excellent diving and snorkelling and Bunaken Marine Park is known for the exotic underwater life of the Western Pacific. The rugged landscape of the Gunung Bromo Crater enjoys a stunning backdrop of the Sea of Sand. The volcano still spews white smoke and its crater has been blown off during earlier eruptions. Other outdoor activities in Indonesia include kayaking, cruising to the Spice Islands, river rafting and trekking in the lush Kalimantan rainforests in Borneo. Must-try Indonesian dishes include the Nasi Goreng which is fried rice mixed with prawns, eggs, meat and vegetables. Start your day with a traditional breakfast of Bubur Ayam which is rice porridge served with shallots and scallion. Other popular local dishes include the ‘Bakso’, meatballs served in chicken soup with rice vermicelli. ‘Teh’ is tea and you can sip refreshing jasmine and green tea. ‘Brem Bali’ is locally brewed rice wine (careful, this can be pretty potent!) and ‘tuak’ is a kind of palm wine. If you plan your visit during August, you can see the colourful celebrations of the Baliem Valley festival. Indonesian Buddhists also celebrate ‘Waisak’, Buddha’s birth and enlightenment. The Bidar race is a canoe rowing competition on Sumatra Island. Indonesia is an exciting holiday destination for couples, families as well as elderly travellers.